We sat down with the legendary game developer and talked about his life, memories of Killer 7, and his hopes to inspire others. Third Edition's comprehensive look into the Compilation of Final Fantasy VII is a great read for any Final Fantasy fan. Tips and tricks for battling colossi, a full walkthrough and a full list of time attack unlockables. What more could you want? The time has come. In this final part of our walkthrough, we show you how to take down the sixteenth and final colossus. Wander's journey nears its end, and so to does our guide. Here's how to battle the thirteenth, fourteenth and fifteenth colossus. Dual audio and widescreen support among the deluge of changes. RPG classics head to new platforms. In the latest edition of our weekly podcast, we cover Digimon Survive, Granblue Fantasy Re: Link being localized, the potential of an Arc the Lad mobile game, Sega working on a brand new Phantasy Star entry, and more! Check out five screenshots of the game looking very pretty. 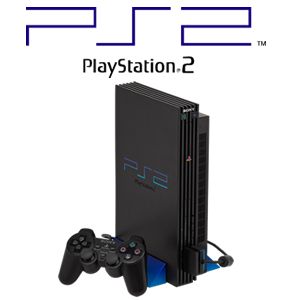 Sony continue on from the vast success of the PlayStation with its direct successor, the slick-black PlayStation 2. Featuring DVD playback and the powerful 'Emotion Engine' CPU, the machine takes PlayStation gaming to the next level.